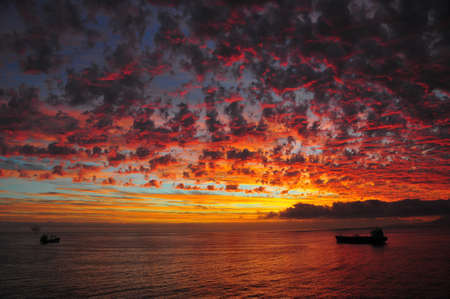 The Dramatic Ocean Sunset Wall Mural features a darkening sky filled with orange and magenta clouds. The silhouette of a merchant's ship sails toward shore along the golden horizon. Choose your own size and material.